Some time ago both the N82 and the N81 appeared on the web as CG images indicating their eventual release to the world before the end of 2007. Together with these images pretty accurate specs were “leaked” indicating their position well ahead of the official release. Analyzing these specs it was clear that these were second-generation mid-tier devices aimed at bringing high-end specs pioneered by flagship devices to the masses at a much lower price and possibly smaller size: the N81 was supposed to be a mid-end replacement for the N91 and the N82 the replacement for the N95. In the case of the N82 it brings the flagship feature list of the N95 in a monoblock package and at a lower introductory price. The idea is that new features are introduced by flagship models and that these eventually find their way to “lesser” devices. In the case of the N82 it introduced a new feature, something that is normally left for the N9X devices. 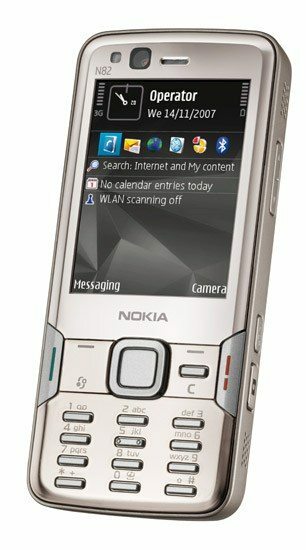 The introduction of the N82 meant making the difficult and unusual decision of choosing between a mid-tier device (N82) and flagship models (N95-3 or N95 8GB) because the feature lists were so similar. What made choosing even more difficult was not only the similar feature list, but the fact that none of these devices had a clear advantage over the other. In all cases one had something that the other completely lacked. What do I think of the N82 and how does it do when compared against the N95 8GB or US N95? Defining who the N82 is targeted at is pretty easy: young tech-savvy users with a sense of style. But defining what the N82 really is, is a lot more difficult as the device’s position in the Nseries line-up is filled with contradictions. Let me try to explain what I mean. The N82 is supposed to be spiritual successor to the N73: an entry level device with high-end imaging features, yet it closely copies the features of the N95, the top of the line device in Nokia’s multimedia stable. But it doesn’t end there, the N82 itself is positioned as a mid-tier device yet it has the Xenon flash feature, something that even the flagship device lacks. See what I mean? The N82 is a Dual mode WCDMA (2100,HSDPA) and Quadband GSM (EGSM900, GSM850/1800/1900 MHz (EGPRS) smartphone running the Symbian OS v9.2 with the S60 3rd edition Feature Pack 1 UI. The N82 is by definition a monoblock device and only comes in Warm Titanium, but the back is done in an ivory-colored pearl-esque finish. A completely white-colored N82 is planned for Q1 2008, but the product manager also talked about the many requests for the color black, so this is another color that we can expect in ‘08. The Nokia N82 is currently available in select markets for around 450EUR or about 660 Dollars, before taxes and subsidies. As always expect higher prices during the first month. The N82 looks like an updated version of the N73, just slightly longer with a metal front and a glossy ivory-colored back instead of the N73’s plastic back. The N82 eschews the large lens cover found on the N73 that took a sizeable amount from the back and instead uses a small and simple switch. I find the N82 to look much better in person, but it sure isn’t the best looking device in the line-up. Personally I find the N95 8GB to be a much nicer looking device, but as always this is all subjective. An obvious negative point for the N82 is the fact that it’s a finger print magnet (The front metal part.) I don’t know how many times I have to say this as I’ve said it so many times:We don’t need phones that need constant cleaning. With its metallic front it will definitely show every single finger print you get on it. 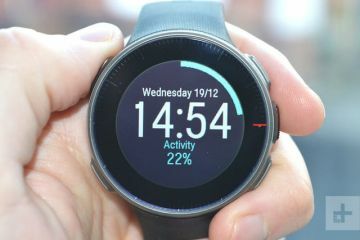 When I asked the product manager about this, he informed us that this was done considering the targeted buyers for the N82. The N82 is targeted at fashion-conscious buyers and the shiny metal look is something that would appeal to them. It’s true that shiny phones with metal and mirror-like materials are all the rage these, but I’m just tired of the constant cleaning. While these shiny phones will look incredible in the store, we need something that will look just as good in the real world. The front does look clean, simple and uncluttered which for me is a good thing. Despite many complaints about the N82 looking a lot like some Sony Ericsson phones, in person it looks quite “Nokia-ish” with all the typical Nokia design elements like the square oblong shape, oversized top and proportionally small keyboard area. The N82 has a pretty large screen that’s sits flush to the rest of the body, while the screen isn’t as big as the one found on the N95 8GB or N92, it still takes a big chunk of the front part. I have to applaud Nokia for making another Nseries device with a cover in front of the screen that sits flush to the body. This not only protects the actual screen, but also avoids dust collecting near the edges and possibly prevents them from getting inside the device. On the other hand seeing the free space available above and below the screen, you still have to wonder why they didn’t make the screen bigger. When Mark from the Nokia Blog asked the product manager why it got “just” a 2.4” screen instead of 2.6 or even 2.8, the product manager said that the biggest reason was size, as having a larger screen would have implication on the height and width. He explained that it was very important to meet the demands of the technology stylist (the target for the N82) and that’s why having a device that was easy to hold in the hand was very important. These reasons are understandable to some extent, but I still have point out that the areas above and especially below the screen are enough to stretch out the screen without having an adverse effect on the length or width. What, do we need so much space below the screen to put the Nokia logo? Below the screen we find the D-pad that actually looks a lot like the Navi wheel found on the N81, when in fact it’s not. Earlier reports indicated that the N82 would include a Navi wheel, but for some reason unknown to me it was available on the prototype models yet it seems to have been removed on the final production samples. 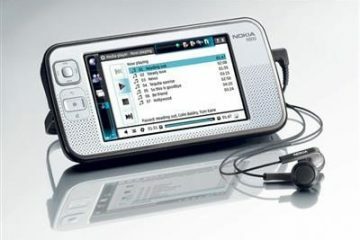 This N82 promo video clearly indicates that it was Nokia’s intention for the N82 to be Navi wheel-enabled. The removal is at least done on the software side of things as there isn’t any software option to enable it on the N82. No word if the actual hardware was left intact. If this is the case it would possible for them to enable it through a future firmware update. I hate to speculate, but I cannot help but wonder why there seems to be some empty space underneath the D-pad, it’s as if something was removed at the very last minute in the production process, the Navi wheel mechanism maybe? Another thing that makes me think this is the fact that when you press the sides of the D-pad it rises way too much on the opposite side. It sure would have been great if the Navi wheel was included and another thing missing is a light-ring inside the D-pad, just like the N81. The left soft keys and Application switch are in one cluster on the left side of the D-pad, while the right soft key, C-key and Multimedia button are in one cluster to the right. This is not a good thing. Basically the buttons in these two clusters are way too close to each other and way too close to the D-pad itself. Same critique I had about the N81’s music keys can be applied here: this is going to lead to accidental key presses due to the buttons being in close proximity to each other and the D-pad. This is an issue that they could have easily solved: If you look above the D-pad and key clusters you can clearly see that there’s a lot of free space just sitting there being unused! They could have pushed the soft keys upwards alleviating the problem of the buttons sitting to close to each other. When I borrow people the N82 some think that key clusters on both sides of the D-pad are one number. Moving lower we can see that they chose very tiny keys for the keypad. During the Q&A session we had with the product manager I asked why they chose such tiny keys. They explained that the end result was the best balance between usability and design. To give you an idea of the keys, they are similar to what was used on the N91, but these seem to be a bit thinner and smaller. From the time I saw the first CG images of the N82 I didn’t like the keys. But after using the device for some time now they are much better then what I initially thought, but it still holds true that these keys are far from ideal. Fact is that the keypad area is too small so there isn’t much space to begin with; as a result the keys themselves are going to be small unless they decide to put them close to each other like on the N95. Looking at the overall shape and space available on the device it seems that this small keyboard area was intentionally chosen in the name of style. It’s quite apparent that the D-pad, soft keys, media button etc. all could have been pushed higher creating a lot more space for the keypad. This is something that the Nokia reps confirmed as they said that the final result was a “balance between usability and design.” In my opinion design seems to have gotten a bigger priority here as having such a small keypad area is just ridiculous. Pressing the keys, first thing you’ll notice is that the key are bit thin and pointy making the typing experience uncomfortable. Putting your finger on or pressing any pointy object feels uncomfortable and that’s why for the same reason I don’t consider the N82’s buttons to be ideal. Large, spongy (and maybe contoured) buttons like those on the N93 feel much more comfortable. Next thing you’ll notice that the key travel is just right, not too long or too short making them feel just about right. When it comes to accuracy the keys fair pretty well: my guess is that despite their small size the keys are helped by the space between them, minimizing the chance for accidental key presses. While playing classic Super Nintendo games on the N82 where I had to press the number 6 repeatedly and at a very fast pace I found myself sometimes pressing the number 3 or 9. When my finger would press number 6, due to the space between the keys there was no way I could accidentally press other numbers. The reason why I was accidentally pressing other buttons was that my fingers were accustomed to larger keypads, as result when heavily concentrated you would think that the number 6 is sometimes lower or higher and as a result you end up pressing other buttons. When this happens, it clearly indicates that that keypad size is too small: for Gaming and heavy texting most people will get accustomed to the keypad, but it’s this not the ideal keypad for neither. When it comes to the looks the buttons look horrible and take a lot from the design of the product. Overall the keypad actually works better then what I had initially thought requiring just the perfect amount of force to be pressed, so they can’t be categorized as being stiff. On the other hand they look horrible and due to their pointy nature will feel uncomfortable to some, especially those with larger fingers. 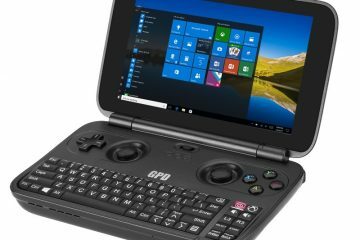 For gaming and texting where fast and coordinated finger movement is needed the N82 is going to be a problem as most users are accustomed to larger keypads, as results a lot of accidental key presses will occur. When it comes to keypads the N93 still is the benchmark when it comes to comfort and usability. Moving on to the left side we can find the microSD slot, the charging socket and the microUSB port. Why on earth are the USB and charging socket on the left side? These should go on the bottom of the device where they should be. On the left side we find a surprise: both speakers are on this side. They argued that this is because the device will mostly be held in a horizontal position hence the reason why they are both placed on the right. But what happens when I turn my device vertically? This way the stereo effect of these speakers will be lost. If that wasn’t enough you have to deal with the fact that when you hold the N82 vertically your hand or fingers will cover the stereo speakers and we all know how good speakers can sound when you cover them with things. The best solution for this is to have side-mounted stereo speakers like what the N82 has currently and in addition put a single speaker on the left side. In this proposed setup you can enjoy stereo speaker when holding the device in landscape mode (like the N82). When the device is turned in a vertical position, one of the right speakers would turn off and the left speaker would activate: you would then get a setup similar to the N95. 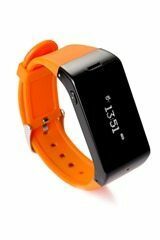 They could than use the accelerometer to determine when the device is in a vertical or horizontal position and activate the speakers accordingly. When you turn the device around, first thing that sticks out is the very prominent camera module done in a brushed metallic looking finish that obviously was chosen to match the metallic theme on the front. I’m also very happy about the fact that the N82 has a proper sliding cover protecting the clear cover behind it: this comes down to not only one, but two layers protecting the actual lens. Now, the thing I liked the most about the camera other than the image quality was this pretty cool switch that is used to activate it. The classic N95’s switch has this circular sliding motion that’s difficult to activate and on top of that it was very stiff. Au contraire, the N82’s switch has this nice sounding click to it when you flick the switch. It’s not too easy to activate and not too stiff, it just feels right. It also seems to have a spring-loaded mechanism that helps to prevent accidental camera activation, but also helps to push it into place. Many people have requested this and finally Nokia has implemented it into their latest imaging device: Xenon Flash. If you take a look at the Xenon flash you’d think that the entire area is the flash itself, but taking a closer look you can see that only the bottom part is the actual lamp. The top half doesn’t really have a function other than to make the flash look bigger, but also to house the Red-eye reduction/low-light auto-focus lamp. The material used on the back is this pearlescent ivory-colored material that has these shiny silvery flakes (kind of like the N81). On top of that it has these etched lines running along the back that are geometrical in nature, but don’t look like something created with a machine: It’s as if they were taken from a living organism and put on the N82. This design element gives the N82 an almost biological soft touch that contrast with the hard industrial design on the front. Normally you would feel these etched lines, but in this case they used a special clear coating on it, making it all shiny and fancy looking. Despite the glossy coating, it doesn’t show any finger prints. In my opinion they should have skipped the glossy coating as these etched lines would have added extra grip. The back has this stylish, almost soft female touch to it that when seen from the back you’d think that you have an entirely different device in hand. The contrast between the soft back and hard almost strict industrial front makes the N82 interesting to look at and makes up for the points lost with the design of the front. On the right side we can find the stereo speakers, volume buttons, camera shutter button and gallery key.The only thing that can be found on the bottom side is the mic, while on the top we can find the power button and the 3.5mm audio jack. I kind of miss the lock switch found on the N81, that should become standard on all devices. Despite the fact that the N82 isn’t the trendiest in the Nseries line (Can we even call the Nseries trendy?) the most striking part of the device and the one thing that defines what the N82 is all about is the solid build of the device. How many complaints have I heard about the N95’s slider being all wobbly? If you’re concerned with that sort of thing (I’m not), than by all means get the N82! It has all the amazing features that N95 is known for in an uncomplicated and solid package: not a single squeak or movement. With the N82 Nokia shows that they are capable of making solid devices. The N82 uses the Symbian OS with the S60 3rd edition Feature pack 1 UI. Despite earlier claims it uses Feature Pack 1 and not the updated Feature Pack 2. The firmware on my N82 sample is a production-ready version 10.0.046 marked with the date 24-10-07. First impressions is that the software has been tweaked to the point where it’s very responsive and it’s very rare that that the user is left waiting. Applications that normally took a few seconds to open, start almost instantaneously. The sluggish S60 has matured to the point where it’s starting to approach S40 territory (Nokia’s non-Smartphone UI). While we still got a little more to go to reach S40 speeds, it’s still remarkable to see how much the speed has increased over the years, especially considering that we are dealing here with a full-blown smartphone with the Symbian OS and S60 UI with an ever growing plethora of features that need to be controlled. It’s quite impressive once you think about it. The device itself takes about 12 seconds to boot up, whereas older devices took 30seconds, which is a pretty good indication of its overall speed. One of the biggest new features is the N82’s ability to re-orient the UI by using its built-in accelerometer. The auto-rotation works seamlessly, rotating the UI by a simple flip of the N82. It doesn’t work on the stand-by screen or the screensaver, but this is an understandable decision by Nokia. But why doesn’t it work when device is turned to the left or when turned upside-down? Another area where this could be put to good use is the camera. I’m pretty sure that most of the time the N82 will be held horizontally when taking pictures, but there are times when I would want to hold the camera vertically. Turning the N82 this way doesn’t re-orient the camera UI: the icons stay in the same horizontal orientation which is kind of awkward to use. If you have an orientation sensor onboard, why not put it to good use in the camera UI? I know that it’s used to correctly orient pictures depending if you hold the camera vertically or horizontally, but the UI itself doesn’t benefit from this. The actual rotation happens almost instantaneously, but the effect is abrupt and unsatisfying to the eyes: maybe they should add some nice transitional effects to add some eye candy. This is the first iteration of auto-rotation on S60 devices and they have done a fairly good job, but in my opinion it has a few rough edges here and there that could stand for a few tweaks. The N82 might look like your regular candybar device, but at its core it’s pure smartphone with the Symbian OS. Because of this, the usual smartphone goodness applies here: applications can be installed hence features can be added to your heart’s content, multi-tasking, copying and pasting among applications, it’s all there. The multi-tasking itself deserves some special attention here as it has been improved greatly when compared to previous devices. This improvement comes from the simple fact that they added tons of memory. If you’ve read my previous Nseries reviews like the N95 and N93 you’d remember that these smartphones had a shortage of RAM and as a result you couldn’t have too many apps open at once. If you were brave enough to do this anyway you would end up with an out of memory warning or applications would close up by themselves. Nokia has listened to our complaints and have added plenty amounts of RAM into these latest devices, including the N82 with its capacious 128Mb of SDRAM. As a result you could literally open everything at once and the device could still keep going without a problem. A few days ago I tried opening every single app I had installed on the device at the same and let’s just say I gave up as it didn’t seem as if the N82 was even breaking a sweat. With large amounts of RAM the experience has changed completely as there isn’t a need to close apps: they can be left open and quickly accessed with the application switch. The S60 UI found on the N82 is similar to the N95 I reviewed some time ago save for a few tweak here and there: a new music folder that houses things like music player, podcasting and the new Nokia Music Store app, a task based Multimedia Menu, the N-Gage application that currently allows you to try a few games, but allow you to download the full application once it becomes available in December and Panoman a new application bundled with the N82 that allows you to create panoramic images. There are other changes here and there, but the ones I mentioned are the most noticeable. To end the software section I have to say that OS and S60 UI make the N82 a very powerful and customizable tool. The addition of extra RAM makes the experience just perfect with no real complaints here, not to mention the easy to use and familiar icons that Nokia devices are known for. Overall I’m incredibly impressed by how much the extra RAM has changed the overall experience and I just can’t praise it enough. Only thing I could ask for is a UI with more eye-candy and simplified organization. 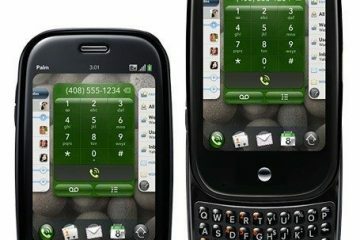 But guess what, it seems as we don’t have to wait longer as the S60 touch UI is set for release in Q1 of 2008. Features and Specs: N95 8GB in candy bar? The N95-3 (US N95) and the N95 8GB are currently one of the most advanced smartphones available right now and the N82 basically copies these features and places them in a monoblock form-factor. I’ve been using these devices for quite a long time now and as a result I’ve gotten accustomed to the wow-factor, but sometimes I just can’t help but be amazed at the amount of technology stuffed in such a small package. The N82 measures just 112 x 50mm x 17.3mm (4.4″ x 2.0″ x .7″) and weighs in at 114g (4oz) yet they’ve managed to put high-speed data connectivity options that include HSDPA and WiFi, built-in GPS receiver, Bluetooth 2.0 with A2DP support for stereo headsets, 3.5mm audio jack ,TV-out, 5 Megapixel camera with auto-focus and Carl Zeis lens, VGA video recording at 30 FPS, front mounted camera for video calls, MP3 player, Radio, Visual Radio, stereo speakers, RealPlayer media player that plays MPEG-4, H.264/AVC, H.263/3GPP, RealVideo 8/9/10, Email client, Web browser, microSDHC card slot with support of 4Gb cards and higher, 3D graphics and of course the ability to install apps. These just a few of the main features as putting them al here with surpass this review itself. You should basically see it as a miniature PC that at its core is controlled by a very powerful orchestra of chips and circuitry. One of the questions I was eager to ask the product manager was if the N82 had the OMAP 2 chip. I was happy to know this when he confirmed with a “Yes.” Essentially this means that N82 has joined a small group of Nseries devices that is capable of some insane hardware accelerated 3D graphics. The presence of the OMAP2 chip also signifies that Nokia sees it as a flagship device despite its mid-end N8X name. The OMAP 2, in the case of the Nseries specifically the OMAP 2420 is a proprietary microprocessor for multimedia applications made by Texas Instruments and falls in their line of “High Performance “products. There has been some discussion whether the N82 and N95 were using two CPU cores; this was caused by the device specs at the Nokia developer page that used the vague “Dual CPU” term. To clarify this the OMAP family contains a dual-core architecture in the sense that it consists of both a general-purpose host ARM processor (ARM1136 processor (330 MHz), single core) and a DSP(TI TMS320C55x DSP (220 MHz).) When Stefan from Intomobile asked about the audio chip being used to handle music the product manager declined to comment on that. But doing a little research here and there, I came to the conclusion that all OMAP 2 equipped devices like the E90, N93, N93i, N95 variants and N82 use the Texas instruments DSP (TI C55x)that is part of the chipset to handles the audio duties. The digital signals processor featured is commonly one or another variant of the Texas Instruments TMS320 series of DSPs. From my listening experience it also seems to be doing a very good job, only surpassed by dedicated audio solutions found on the N81 and N91. If you remember these don’t use the OMAP2, but rather have a different (and dedicated?) audio chip. Multimedia enhancements made in the OMAP 2 include an added imaging and video accelerator for higher-resolution still capture applications (Made possible by the PowerVR graphics) that is used for higher-resolution still capture applications, multi-megapixel cameras and full-motion video encode and decode with VGA resolution of 30 frames per second. An added TV video output supports connections to television displays for displaying images and video captured from the handset. 5-Mb internal SRAM also boost streaming media performance. As for the graphics it’s handled by Imagination Technologies’ Power VR MBX core that has a 2D/3D Graphics Accelerator plus added Imaging and video accelerator. The Power VR MBX is a low power graphics processor to meet the growing multimedia needs of low power, low cost system-on-chip (SoC) applications such as: handheld gaming systems, in-car infotainment devices, handheld Internet appliances and entry-level set-top boxes. The Power VR MBX is not meant to be an add-on graphics solution, but rather a built-in solution. Not sure if the Power VR MBX is a requirement for the OMAP2 or rather an optional part. PowerVR MBX has all the inherent benefits of the PowerVR architecture, including low memory bandwidth, high performance and low power demands. MBX provides fill rates in excess of 300 million pixels/sec and throughput of 3.7 million triangles/sec, from a very small, very power-efficient core. •Tile-based rendering – enables on-chip processing of costly hidden-surface removal and pixel blending, and enables deferred texturing, eliminating all unnecessary accesses to off-chip memory. •Scene Manager – seamless scene complexity management to support arbitrarily complex scenes in limited memory footprints. •ITC- PowerVR Internal True Colour. Colour operations are performed on-chip at 32-bpp for superior colour precision. •FSAA4Free – full screen anti-aliasing with no performance loss delivering smoother more realistic graphics at mobile display resolutions. •PVR-TC- PowerVR texture compression for small memory footprints. •MGL (PowerVR’s native API) on SymbianOS and Linux. To demonstrate the 3D graphics power of the Power VR MBX built into the N82 I have made two Youtube videos: one running FutureMark’s SPMark for Symbian OS v9 and another custom build FutureMark benchmark specifically created for Nokia. The results are nothing short of amazing and I would say the graphics are in the same league as let’s say the Sony PSP and Nintendo DS lite. The strange thing about of all this comes from Nokia’s statement that the N73 (A device lacking any form of 3D hardware acceleration) is going to be the baseline device for the N-Gage platform. Based on this I have to wonder what is going on. All of this seems very confusing and could go two ways as I see it. The first scenario could be that all N-Gage games are playable on the N73, which means that Nokia somehow found a way to get pretty nice graphics without using 3D acceleration(?!). How did they manage to do this? If you remember the N95 came with a game demo called System Rush. This game used the 3D acceleration power of the N95 to produce those amazing graphics and fast frame-rates, the same hardware is found on the N82. Playing this very same game on devices that don’t have 3D acceleration like the N73, the game would run horribly slow. Considering this, how comeall of the sudden they are all playable on the N73? Very Strange indeed, but if this is now all possible on a non-3D device, imagine what they could have done using the OMAP 2, so why aren’t they pushing the bar? If this is the case I think they should make titles with extra eye-candy specifically designed for the OMAP 2 devices. The second scenario and the one I think is the most realistic is that the N73 indeed would be the baseline device being able to play most games, but not all. The graphically more intense titles would then require the OMAP 2 devices. We’ll just have to wait and see what comes out of this, but I definitely hope that they don’t leave the OMAP 2 unused. Before the arrival of the N82 it was generally accepted that the Nokia N95, N73 and Sony Ericsson K800i were the best when it came to photography. The N82 and the K850i have now taken the crown as the best when it comes to taking pictures, but between the two of them I can’t comment as to what is the best as I haven’t put the Nokia against the Sony Ericsson yet. I can say however that they are not in the same league though as the N82 is a smartphone, while the K850i is not. The N82 sports a 5 megapixel (2592 x 1944 pixels) auto-focus camera with Carl Zeiss Tessar lens on the back and a front-mounted CIF camera (352 x 288 pixels) for video telephony and self-portrait shots. The camera uses a CMOS sensor which is known for its high noise immunity and low static power consumption, making it perfect for use on a mobile device. The camera has a focal length of 5.6 mm, a focus range of 10 cm to infinity, macro focus distance: 10 to 50 cm and max aperture of F2.8. If these specs sound familiar to you, you’d be right as the Nokia product manager confirmed that the camera module used on the N82 is exactly the same as the one used on the N95. Looking at the camera specs I do wish that the Macro mode could focus at a much closer range, let’s say 5 cm maybe? No word on the shutter speed settings, but seeing that it’s the same camera module as the N95 I expect that it can range anywhere from 1/1000 to 1/3 seconds. Just like the N95, the N82 is purely automatic in nature a la point-and-shoot camera, so don’t expect the ability to manually set the aperture or shutter speed, in future versions this is something that would be nice to have. And just like the N95 there’s an orientation sensor that automatically senses the orientation of the device to correctly set the way the picture will be displayed in the gallery; this is not something I expect to find on these types of devices, especially since even some full blown digital cameras don’t have this. So seeing the similarities between the N95 and N82, what has changed on the hardware side of things? The most talked about addition is without any doubt the Xenon flash. Xenon has the advantage of producing far more light when compared to LED technology used in previous Nseries like the N95. What is this Xenon thing that we constantly talk about? 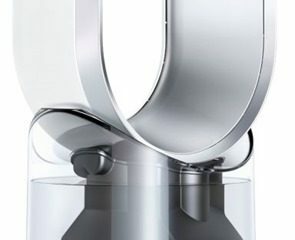 Wikipedia describes it as “a lamp comprised out of a sealed tube, often made of fused quartz, which is filled with a mixture of gases, primarily Xenon, and electrodes to carry electrical current to the gas mixture. Additionally, a high voltage power source is necessary to energize the gas mixture; this high voltage is usually stored on a capacitor so as to allow very speedy delivery of very high electrical current when the lamp is triggered.” The chemical element Xenon is: “A colorless, heavy, odorless noble gas, xenon occurs in the earth’s atmosphere in trace amounts.” Compared to LED flash technology used in previous devices, the Xenon makes a world of difference. From tests I’ve done I can come to the conclusion that The N82 is able to properly light up a scene comparable to a stand-alone digital camera at distances ranging from close-up to anything less than 3 meters. Moving any further and your subjects won’t be as properly lit. It’s safe to say that for the best results the N82’s flash can cover anything up to 2 (maybe 3) meters. This impressive as stand-alone digital cameras like the Canon Powershot S80 have a specified range of about 4.2 meters. To summarize the camera hardware I can say that the N82’s Xenon flash makes a big difference when compared to LED technology, the images are cleaner and could definitely replace a point-and-shoot digicam, due to the auto-focus assist lamp it can focus faster and in dark conditions and the camera felt very speedy. On the other hand I miss manual control over aperture and shutterspeed and I would like Nokia to put optical zooming and an optical image stabilizer in their future devices. I’m not going to put too much attetion the software side of things as it remained pretty much the same; only new things are the ability to show a viewfinder grid and a new application called Panoman, which basically allows you to take a series of pictures and later on stitch them together creating a single panoramic image. It would be great if this feature was included as part of the camera software, but having it as a third party app is ok for now. I hope Nokia is busy making this feature part of the camera software through a future N82 software update. There are a lot of software out there right now that can stitch images together, but the beauty of Panoman comes from the fact that it’s all done on the phone itself, no need to get home to stitch photo’s: it’s all created and uploaded on the phone itself. Another plus is that it does most of the work for you by analyzing how two pictures fit together and snapping when it “thinks” is right. All you need is keep a steady hand and pan to the right. While we’re on the subject, Nokia you please put a live Histogram and Timelapse photography? On the video side we have the same amazing VGA video at 30 FPS, something that has been available for a while now. In the video recording Nokia still has the upper hand and I think this will remain like this in the foreseeable future. While the video is amazing there is room for improvement. 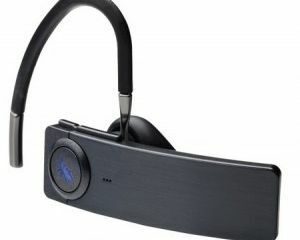 The N93 had optical zooming and dedicated stereo microphones for the sole purpose of video recording. All of these are all missing on the N82. Size doesn’t seem to be an excuse anymore as some pretty small phones are starting come with optical zooming. Other things that I would like to see is again the optical image stabilizer for the video, ultrasonic motor (USM) zooming during video recording. As for the video software nothing has changed. Stay tuned as I discuss other aspects of the N82 in part 2 of the review!